Our App combines your alarm system with smart device control into one app. 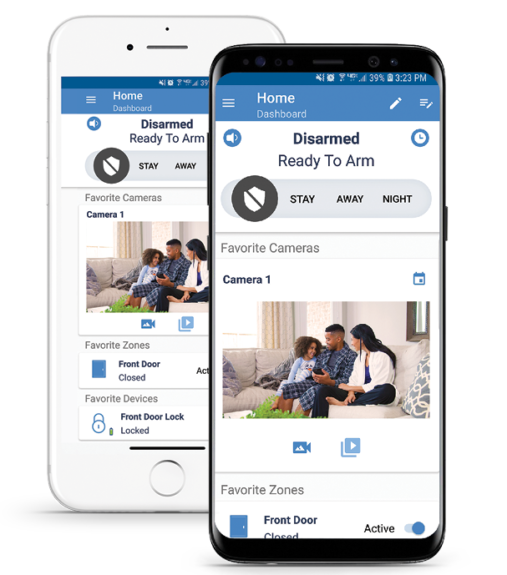 The app delivers full control over your home by giving access to your security system, and allows you to control lights, locks, thermostats, cameras and garage doors. Modern, wireless security platform that will reduce installation time and is ready to scale your business from basic security for DIY and renters to advanced level smart security for home and business owners. An easy-to-use and affordable video solution designed for businesses and homeowners. Now your customers can keep an eye on their home or business with the comfort of knowing their video is securely stored and can be retrieved from anywhere. Industry leading Internet, Cellular and Dual-Path communicators that offer you future-proof, fast and reliable solutions. Universal communicators that you can count on. Today’s consumers want security at their finger tips. Give it to them with our smart device control in one app. Designed to work with the largest number of cameras possible, Alula Video is easy to use and designed for business, homeowners and renters. Total control from anywhere, arm and disarm your system, adjust lights, locks, cameras, thermostats and garage doors. Our network is an IP based cloud-hosted solution which delivers redundant, highly reliable and fast, two-way alarm signaling. Overview – What makes us different! You built your business around securing your community. We have built ours around simplifying how you do it. Our solutions were designed around simplifying and growing your business. The Alula difference “is” saving you money. Technology that continues to meet the demands of todays consumers in your community. Total solutions that deliver the experience your customers want and the simplification your bottom line deserves. There is more out there to discover. Our total solution enables your business to reach more consumer types then ever before. 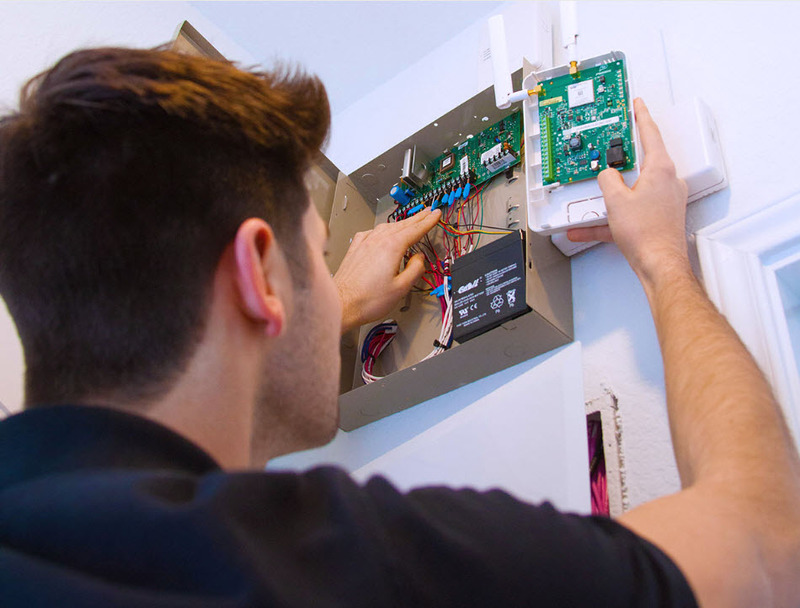 Our flexible and quick wireless installation solution opens the door for you to reach renters and other short term residents that might not have considered security installation but want safety and home automation. Take one look at all of our solutions and its easy to see that from our engineers to our support teams, your business is our priority. Power-up connected smart devices that make sense. Full virtual keypad, smart alerts, automated scenes and intelligent video services that increase your RMR. New business opportunities with our IP-first, blazing fast network that includes optional LTE and 2-Way voice. Provide your customers an intelligent, mobile-first experience on a complete end-to-end solution they can trust. Our Alula platform combines your alarm system with smart device control and video into one app providing full control for the home. Giving your customers access to their security system, video, lights, locks, thermostats and garage doors. Now your customers can stay connected to their home or business from anywhere in the world. Our top-rated apps make it easy for your customers to manage their security system within a convenient and intuitive interface. 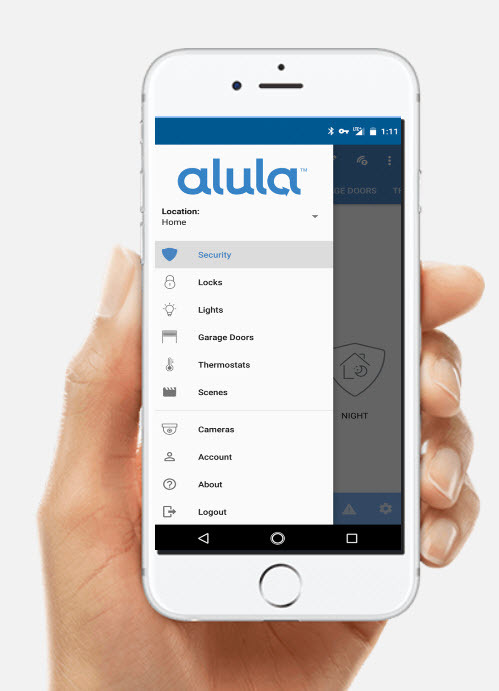 Trusted by the top security professionals, the Alula app integrates security with the connected home. Our solution puts you back in control. Modernizing and simplifying your business. Technology is rapidly changing along with consumer expectations of home and business security automation. Join Alula and offer your customers what they expect. A complete, simple and modern solution to connected security. A system that enables you to offer either a self-install or professional installation experience to your customers. A solution that opens the door to providing basic security for renters to advanced automated home and business consumers. Hardware and software architecture that cuts out the need to run wires, put holes in walls and hunt down closets. Just place our technology next to the router and easily enroll sensors. A simplified installation experience that can take less than thirty minutes. Combine that with remote configuration, troubleshooting and updating, you will spend less time in your customers home or business and more time selling. A complete solution. Industry trusted hardware with a simplified platform and proven support. Alula Video and Alula App on the Alula Connect+ Platform gives professional security dealers unmatched integration between security, automation, and video in a single powerful interface. Our solution provides control of smart home devices, live and recorded video and the security system. And the app at the center of it all carries your brand, helping deepen customer relationships and keeping that recurring revenue coming. Alula Video works with the largest number of leading IP cameras. We carefully designed our platform to work with our line of Alula cameras and the largest number of other IP cameras possible. Select the right camera for each customer. Alula offers redundant alarm communications with industry-leading remote service capabilities when connected via keybus to supported devices such as Honeywell, DSC and GE/Caddx panels. Alula’s Dual-Path communicators feature simple installation, and are pre-activated for Verizon’s cellular LTE network, and quickly connect to the Internet via an Ethernet connection or Wi-Fi (WPS).